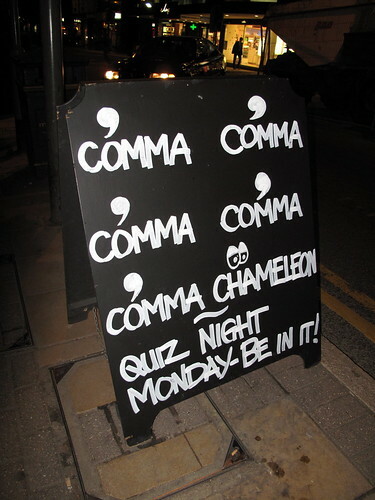 Nothing like a little Culture Club pun to liven up an otherwise dense conversation about when to use a comma, right? I write textbooks and often get pulled up for my comma usage. I was always taught that it marks a pause in the sentence but this rule doesn’t seem to work all the time. A lot of comma usage can be down to individual taste it seems and you might be a heavy or light user. I think there may also be some US/UK differences (I am from the UK by the way). I have consulted the Chicago Manual of Style and I see that there are endless pages on how to use commas in a variety of different situations. To get to my point, I was wondering if you had a simple guide for comma usage that works and isn’t overly complicated to put into practice. Commas are one of the most challenging punctuation marks to write about for the same reason that there are countless pages about them in the Chicago Manual of Style: their use is extremely contextual. Reviewing a sentence, and sometimes even an entire paragraph, is necessary to determine whether a comma is needed or not. That being said, I do have some simple thoughts on comma usage. View commas as symbols that provide guidance and clarity for the reader. Comma overuse occurs when a reader doesn’t actually need to pause; the superfluous comma disrupts the sentence. Commas are needed to assist with comprehension when clauses run together. 1. Join two sentences with a conjunction. DO: Sam ate dinner, and then he went to sleep. DON’T: Sam ate dinner, and then slept. 2. Separate dependent clauses in a series. DON’T: Sam ate dinner took a shower and went to sleep. 3. Separate a dependent clause used as a transition. DO: Later that evening, Sam woke up in the middle of the night. DO: Later that evening, Sam woke up in the middle of the night and read a book. DON’T: Later, that evening, Sam woke up in the middle of the night, and read a book. *For the purpose of this post, I’m asserting that a serial comma is an appropriate choice. Examine dependent clauses when you decide whether or not to use a comma. While commas help distinguish dependent clauses in a list or series, the overuse of commas usually occurs when a dependent clause is unnecessarily offset by a comma (as illustrated in DON’T #1 and DON’T #3). In addition to the explicit examples above, studying comma use whenever you read is a beneficial exercise. This entire post, for example, could be a study in comma use. The more you read text with proper comma usage, the more you’ll naturally use the punctuation mark correctly in your own writing.